Heat and sands will not scare this little creature! Fennec Foxes weight just a few pounds and have large ears and excellent hearing. 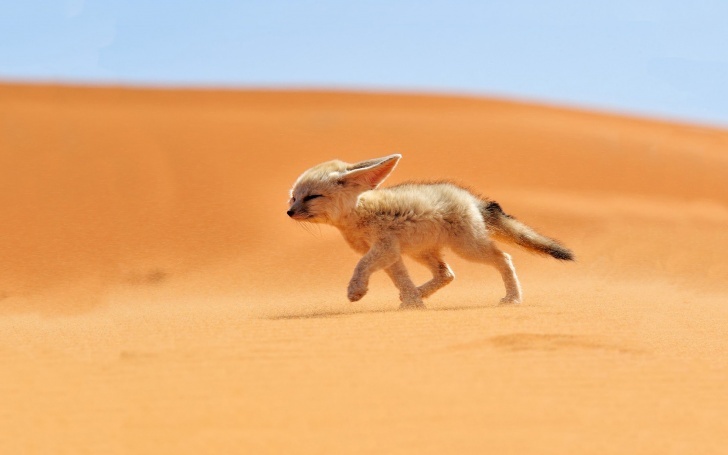 Large ears help these desert foxes release body heat and maintain a proper body temperature which is extremely important for animals living in a desert.